The BMW M3 is a high-performance luxury compact sedan that's an icon. It's fast and sharp, but also comfortable and usable every day. Only offered as a sedan, the M3 previously had been available as a two-door coupe or convertible—but never a wagon. It's been an icon for decades, with a wide span of powertrains that have included inline-6, V-8, and now a turbo-6. Available as a sedan, the M3 lineup used to include two-door coupes and convertibles as well. In recent years, those models were spun off into a separate M4 model that's the same under the skin as the M3. In the 2018 model year, it added a standard rearview camera, a touchscreen for its infotainment system, and swapped its xenon headlights for LEDs. A new 3-Series came for the 2019 model year, so a new M3 should arrive by 2020. 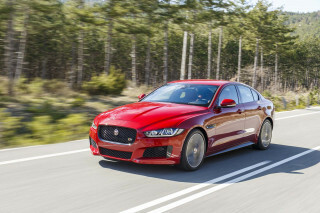 With the M3, BMW has a rival for some of the best cars on the road including the Cadillac ATS-V, the Mercedes-AMG C63, the Audi S4, and the Lexus RC F.
Today's M3 was new for the 2015 model year. For 2015, BMW refocused the M3 on performance, keeping its weight in line while giving it a leaner, touring-car-champion driving feel. 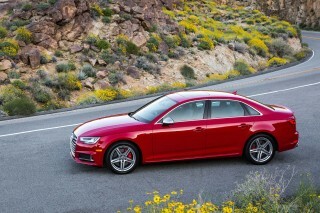 The key piece of equipment was the new twin-turbocharged 3.0-liter inline-6. It produces 425 horsepower and 406 pound-feet of torque, revs to 7,600 rpm, and carries its peak output from 5,500 rpm to 7,300 rpm. 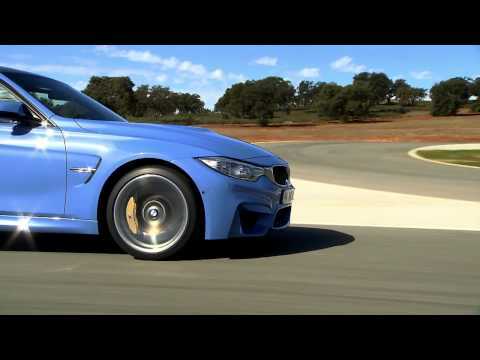 To go along with the new engine, BMW developed a new rear differential, called the Active M Differential. The system is able to vary its locking percentage from one wheel to the other between 0 and 100, all within milliseconds. The variable locking helps improve traction, allows the car to rotate nicely in turns, and put the most power down in a straight line. Coupled to the 7-speed dual-clutch transmission, the current M3 leaps to 60 mph in 3.9 seconds, or 4.1 seconds with the standard 6-speed manual. Top speed is electronically limited to 155 mph. A lighter chassis also helps the new M3's overall performance. Up to 176 pounds lighter than its predecessor, the M3 makes more extensive use of aluminum, including in the front fenders and hood, as well as carbon fiber in the trunk lid, driveshaft, and roof—a first for the M3 sedan. An Adaptive M suspension system offers Comfort, Sport, and Sport+ modes that are made possible by variable-rate dampers. The same three mode settings also control the electric power steering in all M3s, increasing or decreasing the steering force and feedback to suit the mission. The M3 received some mild updates for 2016, coinciding with changes being made across the 3-Series line. The front and rear fascias were tweaked, and the taillights became LEDs arranged in an L shape. Keyless access, satellite radio with a one-year subscription, and a Harman Kardon sound system were now standard equipment. Inside, it got additional touches of chrome, ambient lighting around the center stack, and new navigation unit hardware with faster startup, over-the-air map updates, better overall performance, and more realistic presentation of city details. In 2017, BMW made standard its Adaptive M suspension and added an available Competition package to boost horsepower from 425 hp to 444 hp. 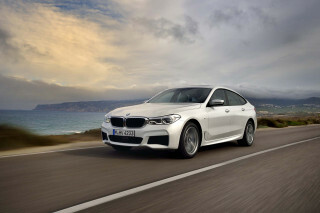 According to BMW, the package shaves a tenth of a second off the 0-60 mph time and includes beefed up suspension components, a quicker steering ratio, new settings for the stability control and Active M Differential, 20-inch wheels, blacked-out badges and grille, and lightweight seats. It all started with the E30 edition of the BMW 3-Series in 1986. That original M3 was a small, relatively light two-door coupe (and later a convertible in other markets). Power came from a 2.3-liter 4-cylinder, and though output hovered around 200 hp—with most of that delivered near peak engine speeds—the car quickly won fans and followers. The E30 M3 was only offered with a manual transmission. It saw wide use in racing, which continues to this day in vintage circles. The second generation of the M3 arrived along with the next generation of the 3-Series: the E36. Bowing in 1992, the new model upgraded to a 3.0-liter inline-6 (and then expanded to 3.2 liters in 1996) rated at 240 hp. A sedan version of the M3 was introduced for the E36 generation. Both 5-speed manual and automatic transmissions were available. That model ran through 1999. In late 2000, the E46 M3 came on the scene, with a much more potent 3.2-liter S54 inline-6 rated at 333 hp. It offered a choice of the 6-speed manual transmission or a new, stiff-shifting SMG automatic transmission with a single electrohydraulic clutch, and steering-wheel-mounted paddle shifters. Next came the E90-series (E90, E92, and E93) M3, first sold in 2007. 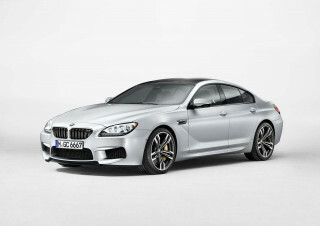 A V-8 engine, displacing 4.0 liters and generating 414 hp, raised M3 performance to new levels. At the same time, the E90 M3 gained considerable weight, pushing it more into the realm of grand tourer than sports car. 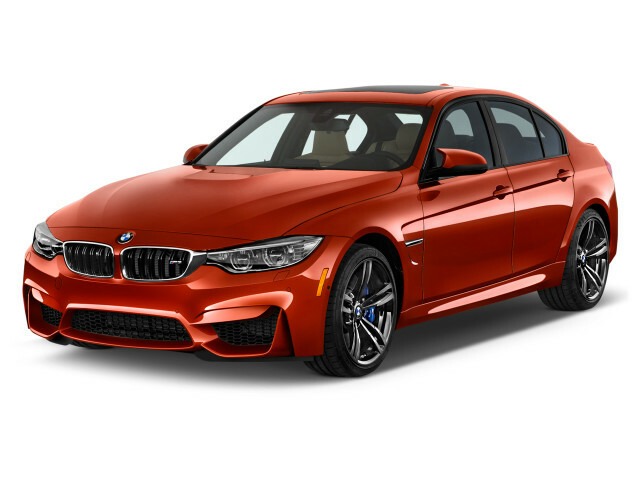 A wave of technology also brought the M3 more fully into the modern era, with advanced traction and stability-control programs to enhance performance, a new optional dual-clutch transmission, and other advances. A number of special editions were offered, primarily in the form of appearance packages. The overall level of the M3's luxury and equipment also rose with this generation, wrapping in more advanced navigation, entertainment, and creature comforts. The fourth M3 was offered here as a coupe, sedan, and hardtop convertible. The car is a great daily driver and family hauler. Fit and finish is outstanding, and it is a car my wife can drive with ease. She is not a car person but enjoys a car with a little power to get around traffic... The car is a great daily driver and family hauler. Fit and finish is outstanding, and it is a car my wife can drive with ease. She is not a car person but enjoys a car with a little power to get around traffic comfortably. But then, hit the M1 button twice and the heads up display changes to the tachometer and a little white box that shows the posted speed limit pops up to let you know how much you are breaking the law. The suspension is race car tight, the steering is razor sharp. The dual clutch slams the gears quicker than any human ever could and the power and speed just builds and builds. With the all the traction controls off the car gives you all the info you need to control it in a slide. It gives a driver all the feed back you needed to drive it a ludicrous speed. A little over steer is easily controlled with just a flick of the wheel as you dip into the go pedal and play speed racer for the day and hopefully not fast and furious because we all know what happened to that guy. Sports car is so subjective, is it a sports car? Well it can get around a figure 8 and hang with the new sting ray and 911 Carrera so by that metric I would say absolutely. But unlike those cars you could have your whole family in the car when you are doing it, by that measure I would say heck no! The new M3 is can be both a gentle beauty of a sleeper car or a raging rabid German beast. It is my daily, but I cannot wait to take it to the local track where I know when it is dialed in and all the nannies are turned off it will absolutely scream and eat up the track. And when I'm done, with the press of a button I can drive home and leave the insanity behind. It is a great car but it disappoints with the less fuel efficiency compared to the other sedan classes..Compared to other cars, Technology is at its best class.